Marinating boxes for preparing meat or fish and sublimating your cooking. Several containers that adapt to the amount of food you are preparing. 1.3 litre box for marinating with a vacuum pump. 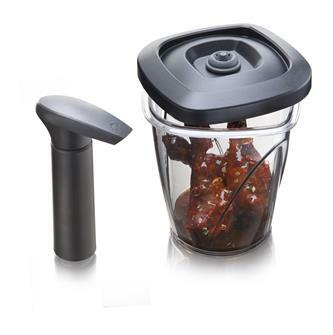 Marinate and soften your meat, fish, poultry and vegetables in minutes. 2.5 litre box for marinating with a vacuum pump. 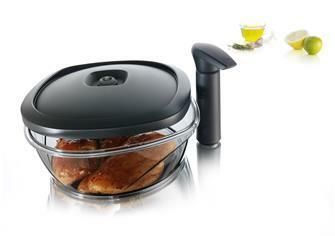 Marinate and soften your meat, fish, poultry and vegetables in minutes.